PFC Capacitor Test Systems – Crest Test Systems Pvt. Ltd. 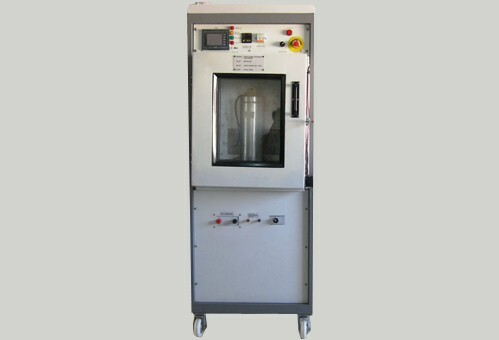 The PFC Capacitor Endurance Test System is used to test AC Capacitors, in the range of 1 to 50 kVAR, with working voltage in the range of 400 to 1000 V AC, for cyclic endurance. This is done by charging the capacitor and discharging it through an inductive load, and detecting premature failures. The system carries out automatic charge and discharge cycles on single phase or three phase capacitors for a preset number of times and monitors the integrity of charging voltage and current, as well as the discharging current. The system has a neat arrangement for connecting the capacitor to the test system and a variable DC voltage source along with a charger circuit with controlled charging current to ensure minimum test “shot time” of thirty seconds. The charging voltage and current can be preset in the system depending upon the type of DUT selected. Status LEDs to indicate Standby, Test in Progress, Test Pass, Test Fail, Error, etc.